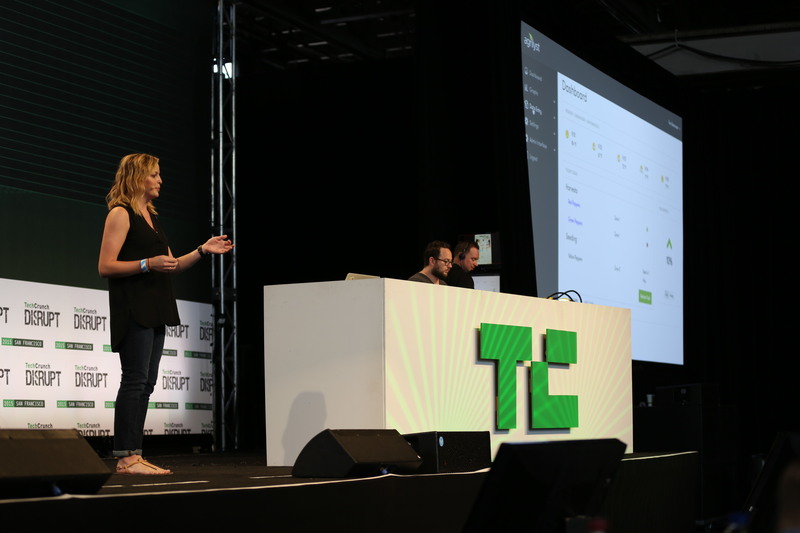 Agrilyst, which is officially launching in the TechCrunch Disrupt SF Battlefield today, helps greenhouse operators run their operations more efficiently by pulling in data from sensors in the greenhouse and information about crop yields and other metrics. During her work, she was able to dig into the data side of the business, but was frustrated by the fact that there wasn’t quantitative data for everything and no integrated tools for analyzing all of the information operators were gathering from different tools. Kopf then co-founded Agrilyst together with Jason Camp, the company’s CTO, earlier this year and joined NYC Acre, a clean tech, energy and transportation accelerator run by the City of New York, NYU and a number of other sponsors. Unlike outdoor growers, greenhouse operators get a lot of control over the growing process and are able to manipulate light, CO2 levels in the air (yes – CO2 isn’t just a greenhouse gas, but also a gas used in greenhouses because of its role in photosynthesis). Most indoor greenhouses also use hydroponic systems — that is, the crops are grown in water, not soil — which adds another level of control. Right now, most greenhouses have CO2, light, humidity and other sensors installed and growers already care a lot about this data, but the hardware isn’t great. According to Kopf, growers care a lot about having access to all of this information, but the market is dominated by a small number of established companies that haven’t had a need to innovate. All the sensors are hardwired, for example, making it hard to expand a system with new sensors. Kopf tells me that growers still take a lot of measurements like plant yield by hand. That data then often lands in a notebook, but isn’t integrated with the data from the greenhouse’s sensors, for example. That means you can maybe troubleshoot a problem after it has already happened, but you can’t really be proactive. The Agrilyst platform then aims to bring all of this data together. It’s hardware agnostic, and even though some of the old-school systems don’t exactly have an API, they can at least export their data to Excel, which Agrilyst can then pull in. The service then displays all of this data in an easy-to-read dashboard that also includes harvest schedules. Going forward, the service will be able to make recommendations based on the information it gets and predict yield levels. Besides CO2 levels, one of the other environmental factors growers can easily manipulate is how much light shines on the plants. Greenhouses use a lot of electricity, even in the summer, because they almost constantly use light, so Agrilyst also helps growers understand how to best use peak energy pricing. “Plants don’t care when they get their energy,” as Kopf noted, but current systems simply use set points to turn the light on and off without taking into account pricing and other factors. The company is running a beta with six greenhouse operators and plans to charge a monthly subscription price for the service (roughly $1,000/acre/month). In the long run, the company hopes to launch its own hardware sensors that can then be deeply integrated into the services. As Kopf told me, virtually everybody she tells about her service asks whether she’s part of the growing marijuana industry. While that’s not the company’s primary market, she did acknowledge that this is one of the potential use cases for the service. For the time being, however, Agrilyst seems more focused on salad and tomatoes grown in multi-acre greenhouses on the East Coast than sativa in an indoor marijuana farm in Colorado.